Hey guys! Today is Day 5 of my 12 Nails Of Christmas as well as our second #CBBxManiMonday featuring holiday themed nail art. For this mani, I was actually somewhat inspired by my Snowy Naked Tree Winter Nails from a couple of weeks ago, which I think you can see when you take a look at it. 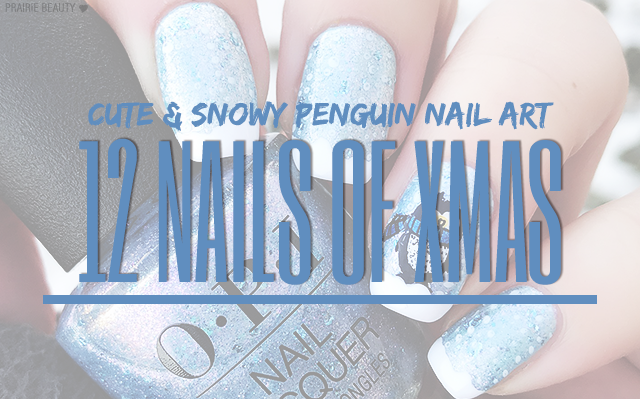 I really, really wanted to do a penguin mani during my 12 Days, because I feel like... well, they're pretty much just adorable, aren't they? So I kept it simple - and in fact, I feel like this is the kind of mani that could easily be recreated very simply without the need for nail art tools by even the most beginner nail artist. To see how I got this look, keep reading! 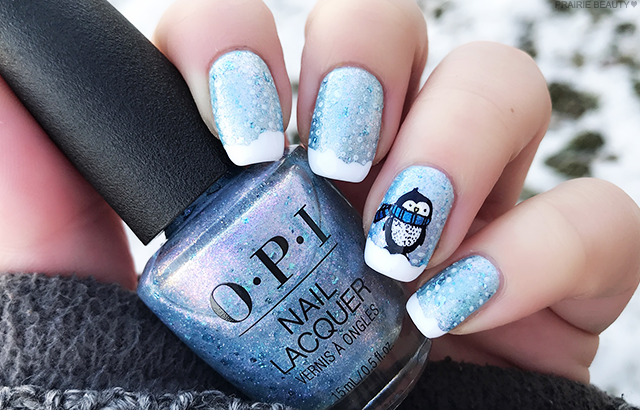 This mani honestly all started from really, really wanting to use this penguin image, which I think is so cute. That inspiration, as well as some similar mani's I've seen using snowmen, I decided to start with a really icy blue base with two coats of a TiVoli polish that I picked up at Dollar Tree for stamping. You can take a closer look at this polishes in this post. Because I'm not a huge fan of chrome bases personally and because I wanted more interest in the background, I followed that with two coats of OPI Butterfly Me To The Moon from their Metamorphosis collection. I feel like this really did give an interesting look the base, adding some shine and a lot of texture from the sort of flakie glitters in the polish. Next, I added more texture to the background using BornPrettyStore White Stamping Polish and the dotted snowy image from the XY-Merry Christmas 01 Stamping Plate, which really amped up the interest on the nails that were ultimately going to be more plain. 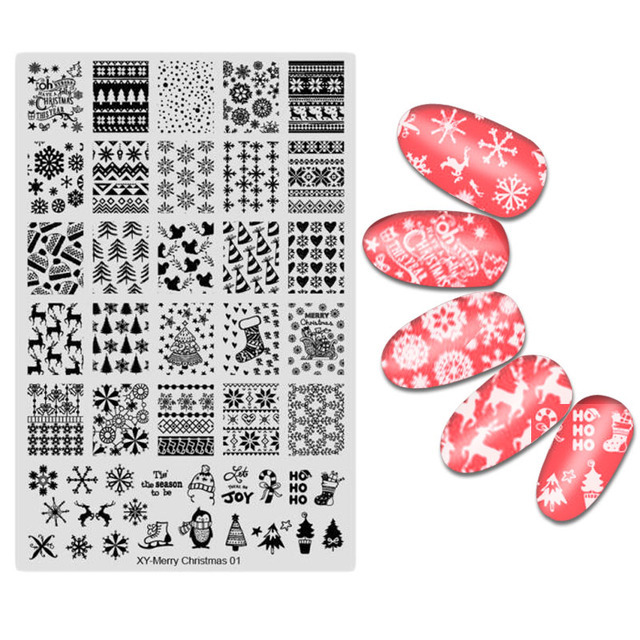 The penguin image was also taken from the XY-Merry Christmas 01 Stamping Plate. I decided that it really needed to be reverse stamped to add to the impact. I started by picking it up using BornPrettyStore Black Stamping Polish. Next, I went in with Avon Gel Finish in Limoncello for the beak (which was really, really hard to fill in with my dotting tool and got a little bit messy). Next I used Sinful Colors Light My Sapphire for the scarf, because it maintained that icy blue vibe but added some depth. Finally, I filled in the torso and face using white stamping polish. For the snow at the tips, which I feel gives a sort of loose french tip vibe, I also used that same stamping polish and a large dotting tool which, trust me, is probably the easiest part of this entire mani. I used a thick coat of Essence The Gel Polish Top Coat to finish and voila! 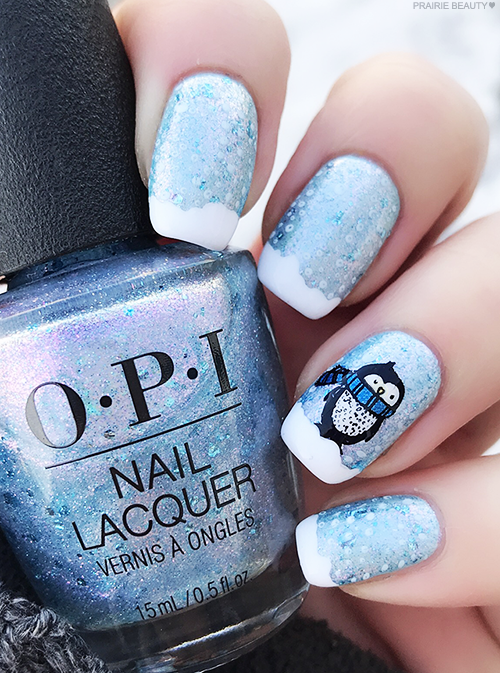 Something that I love about this mani is that if you leave out the penguin, it's a super simple mani that would be very easily recreated at home without even needing nail art tools. If you're interested in trying this without stamping, I'd recommend using white polish applied either with a dotting tool (Essence sells one locally in the drugstore!) or with a toothpick for the snowflakes and the end of a bobby pin for the snow at the tips. Because you don't have to be very precious with anything, I feel like just about anyone could recreate this - and if you do, I'd love to see it either in the comments or on social media! Don't forget to head over to Tea & Nail Polish, Cosmetic Proof, and See The World In PINK to see what they have on their nails for today's #CBBxManiMonday!